Okay, ranking posts are a bit silly. A ride ranking post is incredibly silly. Nonetheless, in this post I set out to rank the rides at Walt Disney World! There are some objective factors that play into my rankings—including ride length, ride capacity, and FastPass+ availability. But for the most part, this is a subjective matter. The ride list I’m using is the Parkeology list without Wildlife Express at Animal Kingdom, as that attraction is now allegedly seasonal and possibly closed for good. That leaves me with 48 rides to rank. This list is broken down into four groups. We start the ranking with Walt Disney World rides I’d be totally fine with Disney getting rid of. Then we move on to the rides that aren’t pulling their weight. I’d ride these one last time, but I think they should probably be replaced. At #33, we take a turn to the positive. These are rides I’ll ride if I can find time for them. I don’t want them gone, but I’m also not rushing to get on them. Then we close with the “must-ride” attractions at Walt Disney World and the iconic rides—the rides that stand above the rest. Finally, we don’t cover the water parks here. We have a guide to Typhoon Lagoon for those interested. These seven rides are the ones I wouldn’t miss at all if they closed. I wouldn’t even need to ride them one last time. This aerial carousel (or “Dumbo-style,” as we say) ride at Disney’s Animal Kingdom really offers nothing. Unlike some other aerial carousels, the views are even awful. No way you’d know you’re in one of the best theme parks in the world, you’ll just see its worst part—Dino-Rama. This aerial carousel at Magic Kingdom gets a spot over TriceraTop Spin for having slightly better views and a spitting camel. Alien Swirling Saucers, a new addition to Disney’s Hollywood Studios, is possibly the only ride on this list that deserves a lengthy treatment explaining just how bad it is. Alien Swirling Saucers uses essentially the same ride system as Mater’s Junkyard Jamboree out west. It’s a sort of teacup-light design, where you spin around slowly in a car that does more swaying than spinning. For whatever reason, Mater’s is a much more fun, zippy experience. Mater’s is also outdoors, while Alien Swirling Saucers traps you under an unappealing plastic ceiling. Alien Swirling Saucers doesn’t have much excitement to it, but the ride is still clunky at times. The technology feels like it’s straight out of a dark ride from the 1950s—slow but somehow still uncomfortable. Alien Swirling Saucers was ultimately a disappointing addition to Hollywood Studios, but it was also somewhat necessary for a park adding a huge number of top-tier attractions in the coming years. Hollywood Studios won’t next appear on this list until the 20s, and parks need a wide range of rides in order to keep crowds under control. Rafts to Tom Sawyer Island is a “ride” at Magic Kingdom that does exactly what it sounds like—moves you to Tom Sawyer Island. There’s no need to take a knock at this ride, it’s just not very interesting. Don’t get stuck on Tom Sawyer Island in peak season—you never know how long you’ll be waiting before it’s finally your turn to get on a raft. My assessment of this ride says nothing about the island, which is great. I don’t have much to say about Magic Kingdom’s carousel—though the spelling of “Carrousel” with the extra “r” is interesting (compare, e.g., Carousel of Progress). The ride’s second most redeeming quality is that it often has no wait, especially after it reopens at night after fireworks. Its most redeeming quality is that it was actually built way back in 1917 before eventually finding its way to Walt Disney World. Kali River Rapids is a water raft ride at Animal Kingdom. You will get wet. Kali actually has decent theming, and it has one of the best queues in Walt Disney World. But that doesn’t save the ride, which is incredibly boring and short. I’ve frequently heard people saying “oh is that it?” at the end of the ride, and I definitely feel the same way. Besides the length of the ride, it doesn’t quite take you through a story in the same way that other Disney rides do (though I think some will wildly disagree with me). This very well might be me letting the perfect be the enemy of the good, as I obviously compare Kali River Rapids to the rest of Animal Kingdom, which I hold to a high standard. One cool aspect of the ride—guests who aren’t on the ride can meander over to the bridge over the ride and push buttons to spray water onto unsuspecting riders. It’s a classic with okay views of Magic Kingdom, but beyond that Dumbo is just another aerial carousel. Well, actually it’s two neighboring carousels, one of which turns clockwise and the other turning counterclockwise. We’ve got seven rides I have no love for out of the way, so let’s move on to rides that just don’t quite do enough. These are the ones that I think could be axed, but which I would want to ride (at least) one last time. In case you were wondering, I don’t like aerial carousels. The best one at Walt Disney World is Astro Orbiter, which has amazing views of Magic Kingdom. Unfortunately, the ride doesn’t have FastPass+ and the waits are always outsized compared to its quality. It’s a good pick for, say, evening Extra Magic Hours at Magic Kingdom if you have nothing else to do. It’s a borderline “I wouldn’t ride it one last time” ride, but the views are what set it apart from its sisters in that group. All that said, the location of the ride—on top of a quick service restaurant—at least means its not really taking up much usable space. Mad Tea Party at Magic Kingdom is the classic spinning teacup ride. It doesn’t offer a ton, but it is a fun ride that frequently has short waits and wide FastPass+ availability. Like Alien Swirling Saucers, Under the Sea is simply a ride its park (Magic Kingdom) needs for operational reasons. It’s cheap, it can keep people in line for 30 minutes, and it has one of the highest capacities in Walt Disney World. And yea, the music of The Little Mermaid can carry a ride. There are some cool spots on this simple dark ride, but it’s mostly about using music and bright colors to impress kids. I will say, I often think this is the worst ride in Walt Disney World for one reason—it has awful Show (capital “S”). Show is Disney’s term for protecting the illusion, but Under the Sea is awful for this. Not only are various untoward elements of the animatronics and ride elements visible at some points, but the highlight room is really just a bunch of plastic toys spinning around. The Seas With Nemo & Friends is a dark ride at Epcot themed to Finding Nemo. Most of this ride is worse than Under the Sea, but the effects at the end win me over. Getting to see Nemo (& Friends) hanging out with real fish is a bit gimmicky, but it’s enough for me to often try and ride it when I’m at Epcot. I get that it’s the ultimate classic (that’s why it isn’t last on this list), but nothing about Small World does anything for me anymore. The song is catchy—for about 40 seconds, then it becomes maddening. And let’s not forget, you can also find this ride in: Anaheim, Paris, Tokyo, and Hong Kong. There’s no pretending that losing it would be a huge loss. If this were the original Journey Into Imagination, it might be higher. But sorry fan-people, the current iteration of this Epcot dark ride is a pretty jumbled mess. Figment isn’t so much representative of imagination as he is unrestrained mischief. Maybe the last scene is something special, but outside of that the ride is a mess. The big “turn” of the ride seems to be Figment pointing out that if you try hard you can imagine what things would be like upside down. In a theme park complex built literally around immersing people in creative environments, the idea of an upside down room isn’t quite imaginative. We’re supposed to be imagining the future—the city of tomorrow—not a cheesy upside down house. Barnstormer is a fun, zippy little coaster, but this Magic Kingdom ride is the shortest attraction in all of Walt Disney World. There’s probably not much else that can be done with the space, but if Disney wanted to open a taco stand there, I’d be fine with it. Primeval Whirl at Animal Kingdom is actually Walt Disney World’s second shortest ride. The ride has some redeeming qualities, particularly its “meta” element, wherein it is actually a ride spoofing another ride in the park, DINOSAUR. That’s right, Primeval Whirl is a carnival ride interpretation of DINOSAUR. That sly design aside, the ride isn’t good enough to deserve its spot at Animal Kingdom, and the park could do with a few more quality rides to push the two Dino-Rama rides a bit more into the background. This is where we make the turn from rides I’d be fine getting rid of to rides I enjoy, but maybe can’t fit in at every visit. There are some great reasons Main Street Vehicles could be higher on this list. It’s a great concept with cute execution. The real drag is its limited hours. The vehicles—which just drive you up and down Main Street—only operate until around 10:30AM. You’ll usually only make it onto Main Street Vehicles if your morning at Magic Kingdom goes perfectly. After vowing never to ride the orange (intense) version of Epcot’s Mission: SPACE again, I actually tried it a few weeks ago. It was less intense than I remember, but still one of the more intense rides at Walt Disney World. The use of the centrifugal technology creates the illusion of traveling in a rocket, and it’s definitely not for the weak of stomach. The storyline is a bit dated, and the concept of teamwork is unfortunately likely to be blown out of the water by the Millennium Falcon attraction when that opens up. Nonetheless, Mission: SPACE is a solid ride that offers a different experience than anything else in Walt Disney World. DINOSAUR is nowhere near the ride its sister, Indiana Jones Adventure, in Disneyland is. But c’mon, it’s a fine middle-of-the-road experience. The animatronics are pretty good, the experience is thrilling at times, and the plot…well the plot is only a tiny bit flawed. But the size of the ride requires it to be placed in a strange location, and the ride also just tries to do too much. There’s two antagonists—the carnotaurus and the incoming asteroid—and the ride slows repeatedly to give you scientific names of dinosaurs as part of the plot. C- for ride experience. Gran Fiesta Tour (starring the Three Caballeros) is one of Walt Disney World’s most underrated rides. When the World Showcase is busier, particularly during holidays and Food & Wine, the boat ride gets decent waits of 20+ minutes. For the most part, though, you can walk onto this ride following your visit to Frozen Ever After in neighboring Norway. As much as I love it, I would understand if the writing is on the wall and this attraction gets re-themed to Coco. If Disney put the effort into it, a Coco ride in this space could be breathtaking. Six of the next seven rides on this list hail from Magic Kingdom, and you could probably arrange them about in any order and justify it. These are the rides that make Magic Kingdom an impressive park, as these are excellent rides that barely touch the park’s top ten. Peter Pan’s Flight is a fun dark ride, and the “flying” experience is a unique offering. Mostly, though, I’m in the group that doesn’t quite understand the hoopla surrounding the ride. Seriously, let’s chat about this. Peter Pan’s Flight is a Disneyland and Walt Disney World opening day attraction. The ride is largely unchanged from its 1955 version. This is a 63-year old theme park ride that somehow commands some of the longest waits in Walt Disney World. What’s more, the Walt Disney World ride using continuous loading, which means waits actually could be even longer with a slightly different ride system. Theories abound as to why the ride remains popular, and several assert that it is basically a Disney conspiracy. The short of this idea is that Disney releases more FastPass+ space for Peter Pan’s Flight than is appropriate. This results in standby lines that are outsized, which pumps up the wait. The extended wait makes it a more popular FastPass+ choice, which keeps the cycle going. A more mundane theory is that the ride is simply one of the few dark rides available and suitable for children anymore. Its “flying” vehicles are also pretty cool. Read more about getting on Peter Pan’s Flight in our rope drop strategy at Magic Kingdom post. Many Adventures of Winnie the Pooh is just a bit better than a standard dark ride. There are a few subtle moments and imagineering tricks in this Magic Kingdom ride. I do struggle to fully pin down the storyline. There’s a storm, some flooding, then Pooh has a bad dream…I don’t quite know how it all ties together…then it turns out it’s Pooh’s birthday…hm…but the room with the Heffalumps and Woozles is pretty fun! I was a bit surprised this one didn’t get cut when they decided to bring TRON into Magic Kingdom, but that doesn’t mean it will last forever. While gassy, stinky cars are definitely not a part of “tomorrow” anymore, there’s no doubting it’s a fun time to hop in one of these babies and get some unique views of this corner of the park. Buzz Lightyear’s Space Ranger Spin at Magic Kingdom is one of those rides that doesn’t need or deserve a lengthy discourse. It’s a laser-shooting ride that, at the end of the day, is just FUN! Some people prefer the Disneyland version. We’re ambivalent on that question. I think Maelstrom was a better ride, but I’m not such a zealot that I hate Frozen Ever After for replacing that Epcot classic. I like Frozen as much as the next guy, but here’s the thing—Disney relies way too much on Frozen to carry things. The ride has some okay moments, but mostly it’s a chance for Disney to show off its newer animatronics and to give kids their Frozen fix. The story is standard dark ride fare, and the reversal of the boat is super awkward in the context of a typical dark ride. This is also one of the rare rides where I prefer to be sitting in back. In front, the ice castle room is underwhelming because it’s hard to experience the entire room. Read more about riding Frozen Ever After in our Epcot FastPass+ and Rope Drop post! Liberty Belle Riverboat might be a little long for what it offers, but I still try to fit it into my day. It offers unique views of Magic Kingdom, just like Tomorrowland Speedway and Walt Disney World Railroad. Beyond that, you’ve got a pretty cool Riverboat to explore. I’m not into Walt-nostalgia, but I think the Walt Disney World Railroad at Magic Kingdom is one of the more essential testaments to Walt’s vision. If you counted the Main Street station and its awesome displays on the trains as part of the attraction, it might even be worthy of a spot in the top 20. Like Rock ‘n’ Roller Coaster, which we’ll discuss below, Test Track is an effort to bring more “thrill” into Walt Disney World. It does this with a 64.9 MPH lap around the outside of the building. Along the way to that lap, it wastes a lot of time. There’s a “design” chamber, where you have to design your own vehicle. Then there’s the needless “tests” in bizarrely colored rooms that happen before you’re finally released for the fun part. I’m in the minority that thinks the original Test Track was far superior to this incarnation, but whatever my feelings, this is another one that the crowds have spoken for. On most days, it’s the most popular ride at Epcot, and people young and old gush over it’s finale. Walt Disney World’s newest ride is a respectable showing, though it still manages to be only the fifth best ride in Hollywood Studios. The queue of the ride has a variety of well-placed gems, and the ride itself is a great experience with good views. At night, it’s even better, but the challenge is getting on it at night. Currently it’s the toughest FastPass+ reservation to get in Walt Disney World, so you’re most likely looking at standby if you want to ride at a specific time. Read more about riding Slinky Dog Dash in our FastPass+ and rope drop at Hollywood Studios post. Could we say Slinky Dog Dash and Rock ‘n’ Roller Coaster are actually tied? Probably. Rock ‘n’ Roller Coaster is the better coaster, but Slinky Dog Dash is the better experience. At night, Slinky Dog Dash is definitely the better overall ride. Look, Rock ‘n’ Roller Coaster is a microcosm of what Michael Eisner did right. It’s a rip-roaring thrill coaster with blasting music and a thin plot. And teenagers and coaster-loving adults friggin’ love it. In my heart, I actually rank this ride quite low. Probably around 35. Maybe lower. The short version of why—you wait over an hour in a cement box for an 82-second thrill ride that only has about 10 seconds of notable thrills. But I used to love it, and I understand why people love it. The ride regularly has hour+ waits, and it’s possibly the most challenging Tier 2 FastPass+ to get in Walt Disney World. Good news! From hereon out, we’ll have a marked drop in negativity. This next group are the rides I absolutely must ride during a day at the parks! Naysayers about the Magic Kingdom incarnation of this ride abound, and I think Jack Sparrow has overstayed his welcome. But this is still a great dark ride. The story is pretty simple. Pirates have arrived at this town, presumably seeking treasure. But Barbosa also seems to be after Jack Sparrow. Also, someone called the “Pooped Pirate” somehow has the treasure map. All that aside, the ride is iconic for a reason. In a way that is good, but not comparable to Haunted Mansion, the ride showcases some nice imagineering tricks. Whether it’s the burning village, or the animatronics, or the fake cannon and gunfire, it’s a collection of good Show with a bit of narrative sprinkled on. There’s little left of the original EPCOT Center in modern Epcot’s Future World, but Living With The Land (originally Listen To The Land) remains. Living With The Land is a journey through the world of agriculture and, somewhat, humanity’s relationship with land more generally. The second half of the ride showcases a greenhouse that utilizes the latest in agricultural methods, growing foods that can be eaten around the resort. So why does a “boring” ride about agriculture get such high marks? First of all, it’s not totally boring. It’s educational and features some pretty cool innovations. Second, it rarely has long lines. It’s a great ride to jump on after Soarin’ or before or after lunch at Sunshine Seasons. Most importantly, it’s a ride that celebrates the original theme of Epcot’s Future World, which is human innovation. Like Spaceship Earth, this ride takes the ambitious step of focusing on something “boring” but wholly essential to human existence—agriculture. If you want more amusement, go to Six Flags or buy a trampoline, you’ll save $$$. Nostalgia is “a sentimental longing or wistful affection for the past, typically for a period or place with happy personal associations.” I don’t have any memories of Carousel of Progress, and I definitely am not sentimental about it, but my appreciation for it is rooted in the past. Carousel of Progress is one of the few attractions to bear Walt’s name. The attraction debuted at the 1964 New York World’s Fair before making its way to Disneyland and later to the Magic Kingdom, where it currently resides. The Carousel comprises four scenes depicting technological progress through the 20th (and 21st) century as experienced by a “typical” American household. It’s a 20 minute animatronic show, and one I always try and find time for. There’s a sad irony to the idea that Carousel of Progress will one day be replaced, but progress is sort of inevitable. The “other ride” in Pandora—The World of Avatar is Na’vi River Journey. It’s a beautiful boat ride down the Kasvapan River in search of the Shaman of the Song. The downside of Na’vi River Journey is that it’s sort of simple. On its face, the ride actually has less “story” than pretty much any other dark ride. The huge upside, though, is that it’s a visual feast. There are dozens of species created specifically for the ride, and you’ll notice new things on each of your first few rides. And of course, the Shaman is one of the best, if not the best animatronic Disney has ever built. While the ride typically has one of the longer waits in Animal Kingdom, we’ve taken to hopping on it right before the park closes, when the wait is more reasonable. It’s a fine way to end the day. There was a time when you could actually see the Space Mountain vehicles from the queue, and they zipped above you, looking vaguely like shooting stars. I don’t know why Disney got rid of that. Anyways, Space Mountain is a fixture (both visually and…experientially…) of the Magic Kingdom experience. It’s a (pretty uncomfortable) roller coaster type ride in the dark. You’ll only worry about having your head or hands chopped off for the first half or so, then you sort of get used to it. Beyond its unexpected dips and turns, fine use of space-themed projections, and awesome soundtrack, Space Mountain has a really cool queue. Disney has tinkered with it (negatively), but the fixtures, and the sort of darker side of 2001: A Space Odyssey aesthetic remain. Like Space Mountain, Big Thunder Mountain Railroad lacks the narrative depth of some other rides in Magic Kingdom. Disney “enhanced” this story back in 2012, but there’s just something fake about a story that isn’t built into the bones of the ride. It’s made to look like a toy game set, so it fits the “this is Andy’s toy!” idea of the land. But Andy can’t own a “Toy Story” branded game because Toy Story doesn’t exist in Andy’s world! The fourth wall is completely destroyed by this ride. Beyond that major problem, the ride is obviously one of the best in Walt Disney World. It’s interactive, competitive, and simple enough for small children to understand. It’s also significantly more challenging than Buzz Lightyear’s Space Ranger Spin, which is relatively easy to master once you know the key targets. The repeatability of Toy Story Mania is quite impressive. You can ride it multiple times in a single day and visit multiple times over your trip, and you’ll still be working on your technique. Hollywood Studios first Toy Story ride was definitely its best! What I love most about Soarin’ is you can’t not like Soarin’. It just doesn’t make sense to dislike it. It’s stunning. It’s exciting. And it isn’t so moving as to be nauseating. I don’t really remember the attraction it replaced—Food Rocks—but I’m comfortable saying Soarin’ fits in just as well, if not better, in Epcot’s “The Land” pavilion. Whether you’re young or old, whether you’ve seen the places in real life or never left Florida, whether you generally approve of screen rides or not, you can’t complain about Soarin’. No, its definitely not the best ride. It’s not even in our top ten. But it is solid. It is worthy of repeat rides. And it has a captivating soundtrack. But once they fix the Yeti they should straighten out the Eiffel Tower. Woof. The top eleven rides at Walt Disney World each offer something…special. They have the “Disney difference” (ugh, I promised myself I’d never say that). That’s not to say you’ll leave each of these immediately saying “WOW!” Definitely not. They might take repeat rides to appreciate. They might take reading this post to appreciate. Or you might never appreciate them the same way I do (which is fine, duh). But these are special attractions. There are two places in Walt Disney World you can always spot a first time visitor, and they’re less than 100 yards apart. One is Country Bear Jamboree, where first timers get wide-eyed with shock pretty quickly. The other is Jungle Cruise, where the first timers have the most nervous laughter. I think there was a time when the animatronics in Jungle Cruise were considered cool, but we’re obviously way beyond that now. If you want a beautiful, leisurely river ride, see #16. What sets Jungle Cruise apart, what makes it iconic, is that it showcases Cast Members. Yes, they stick to mainly the same script, but the details change and the delivery varies greatly. The jokes aren’t hilarious, but they’re good enough, and a great skipper can make your day. It’s easy to forget the crazy amount of resources that go into making a perfect attraction so that it can last on its own, the same, day after day. Jungle Cruise abandons that. Instead, it’s different every single ride. You don’t know whether it will be the highlight or lowlight (yes, that definitely has happened to me) of your day. But you know to expect the unexpected. Star Tours doesn’t call for too lengthy an exposé. The ride does a ton of things right. It’s a top-notch thrill ride, for starters. If you’re looking for something truly special about the ride, keep in mind its original debuted in 1987. Conceptually, you can call it an ancestor of such marvels as Soarin’, Avatar Flight of Passage, and all of Universal Studios. I recently finished reading Defunctland: A Guide To The Magic Kingdom, and I was happy to see someone who appreciates this ride for the same reasons I do. Splash Mountain is one of the most underrated narrative experiences in the world. It might be one of the most underrated pieces of art in the world. It took me years to understand the plot of Splash Mountain. You know a ride is good when you actively want to understand it. Most of the ride is straightforward: Brer Rabbit is being pursued by Brer Fox and Brer Bear, and he bests them at almost every turn. Finally, while laughing at Brer Bear, Brer Rabbit is snatched by Brer Fox. This is where the fun begins. Then you hit the top of the ride, slide down the drop, get your picture taken, and plunge into the thicket. You turn a few corners and everyone is happy Brer Rabbit is home, singing “Zip-A-Dee-Doo-Dah.” HUH? Now, the cynical me would say Brer Rabbit dies and goes to heaven, but that’s not what happens. Let’s rewind and explain how the tale actually unfolds. Back at the top of the mountain, Brer Rabbit pleads with Brer Fox, “whatever you do, please don’t throw me in that briar patch.” To understand the end of the ride, one needs to simply realize that this is reverse psychology. Brer Rabbit is actually from the briar patch. While it is dangerous and scary for Brer Fox and Brer Bear, Brer Rabbit can survive in the briar patch. So he tricks Brer Fox into throwing him down into the briar patch, which you experience as the rider! When he arrives, he survives and celebrates his return home! Brer Fox and Brer Bear are seen near the end, struggling in the thicket. And that, friends, is how you use a simple combination dark ride / log ride to brilliantly tell a story. I almost feel like I’m spoiling myself writing about PeopleMover after I just got to write about Splash Mountain. PeopleMover is actually probably my favorite ride at Walt Disney World. It’s a true testament to the other rides on this list that I found a way in my mind to justify elevating them above PeopleMover on this list. It’s also quick-loading, centrally located, and conveniently positioned above the land so you avoid the crowds during your opening tour. The thing is, no first timer should ever start their day on PeopleMover! It’s an absolutely abysmal use of that crucial rope drop time. To see as much of Magic Kingdom as possible, PeopleMover is a midday attraction—if you even ride it at all! No, the best time to ride PeopleMover isn’t at the start of the day. The best time to ride PeopleMover is at the end of the day. Maybe even the very end of the day. At the end of the day, you have little left to see. You’re exhausted. You’re sick of waiting in lines. So hop on a ride with great views, a lot of sitting, and next to no line! Visit at sunset for some of the most stunning views in Walt Disney World! But oh, at the very end of the day, you get two major perks. You’ll lose sunset, but here’s what you gain. 1. Looping. If you get on with about 15 minutes left during park hours, you’ll have a good chance at being able to loop—riding the ride twice without getting off. As long as there is no constant line, you can usually indicate a desire to loop by swirling your finger and politely confirming you’d like to ride again with the Cast Member (credit to the folks at Disney Tourist Blog for introducing me to looping). 2. Better Views of Space Mountain. Most of the time, when PeopleMover goes through Space Mountain, it’s a completely blind darkness for 30 seconds or so. There are two exceptions to this. First, if you go at night, your eyes will be adjusted to the dark, and you’ll be able to much better make out the outline of the ride. “Thank the Phoenicians, they invented them!” So goes one of the most iconic lines in theme park history (I put it right before “and, uh, fly!”). I’m no Epcot aficionado. Despite my earlier praise of Living With The Land, I’m not really an Epcot purist either. It’s safe to say I don’t fully understand the park. But I still love, and appreciate, Spaceship Earth. Like Living With The Land, the theme is simple and ambitious—communication. It takes a lot of faith and dedication to build a ride that isn’t just themed around the latest, hottest trending film. Can you imagine modern Disney building a ride whose theme was the history of communication? No way. Besides excellent theming and a great story, the ride is physically quite impressive. It is, you’ll recall, remarkably fit into a massive geodesic sphere. The individual scenes are also quite beautiful. Compare the scenes inside Spaceship Earth to those inside Under the Sea or even Peter Pan’s Flight. There’s no comparison. The level of detail—particularly of realistic detail—is unmatched by most dark rides. This is a fun, visually stunning ride. Disney modern animatronics are on full display here, and they don’t disappoint. The dark ride portion of the ride is fantastic. The track layout is good, and the ride is smooth. Modern coasters have the advantage of technology (and freshness), but boy is this a comfortable ride. But now, let’s talk about three standout features of this ride. First, there is the tilting vehicle design. The mine train cars are all designed in such a way that they freely sway from left to right. Besides being “cool” and “fun” this ads a bit of realism to the ride. When the train stops moving, you don’t immediately stop. With other coasters, there’s that finality when the ride finishes and parks for a second before heading back into to main building. With Seven Dwarfs Mine Train, even if the forward motion ceases, you’ve still got a small bit of sway going on. It’s a good touch. Second, there is the hybrid ride design. Seven Dwarfs Mine Train is a hybrid coaster and dark ride. The dark ride component is only one (or two, depending on how you count) scenes, but it’s a great space. The ride would be excellent without it, but Disney went the extra mile and offers something other than zipping around a mountain. Finally, there are the references to the old Snow White ride. I have much love for the old Snow White ride, Snow White’s Scary Adventures. Out of respect to the old ride (and their bottom line, fine), Disney repurposed the old animatronics. They’re most notably featured in the final part of the ride, dancing inside the house. And you’ll also see the Evil Queen brilliantly positioned at the very end of the ride, looking into the house. Read more about riding Seven Dwarfs Mine Train in our Magic Kingdom FastPass+ post! Somewhat notably, the three Animal Kingdom rides that fall into the top five are also conceptual descendants of other Disney rides. Kilimanjaro Safaris fulfills Walt’s original dream for Jungle Cruise—the use of live animals. Coincidentally, as an experience, the ride also shares a lack of uniformity with Jungle Cruise—every ride will be different. Kilimanjaro Safaris is part theme park attraction, part conservation project. Animal Kingdom is an accredited zoo, and many animals in the park are a part of different conservation programs, such as the Species Survival Plan. There used to be more narrative to Kilimanjaro Safaris. You were involved in a hunt for poachers; you had to track down a baby elephant; in some versions the elephant wound up dying (it was an animatronic, relax). Disney scrapped all that and now it’s mostly plotless. But that’s fine. Kilimanjaro Safaris is alive more than any other Disney attraction. Ride it in the morning or at sunset and you’ll see so much activity that it’s easy to forget you’re in a staged environment. Beyond that, Kilimanjaro Safaris is a massive undertaking! The operational costs of the ride have to be through the roof! There’s such variety of species, all on a gigantic plot of land. And unlike an ordinary zoo, you actually wind up quite close to the animals. They get in the road and stop your vehicle (they have the right away). There’s no boundary between you and the rhinoceros! It’s easy to look at Kilimanjaro Safaris and think “so, it’s a ride through zoo.” And while I think it’s more than that—what if it wasn’t? You’re going to tell me that an entire zoo isn’t a better attraction than a standard dark ride? Nah. Tower of Terror is arguably a perfect attraction. The “ride” starts long before you’re even in the queue, as you view it down Sunset Boulevard. As you get closer and closer to Tower of Terror, you’ll begin to hear two things. First, the screams from the ride, which pierce the otherwise sunny ambiance of Hollywood Studios. Second, the murmurs about whether or not people are actually going to get on the ride. Just go stand in front of Tower of Terror and you’ll hear conversation after conversation, between spouses, siblings, grandparents and grandchildren, parents and grandparents, and so on, about whether they want to ride it. There’s really no other attraction that draws that much attention just from its presence. And once you’re in the queue, you have to continue to hear the screams as the ride operates above you. Eventually, you’ll make it into the lobby, which is brilliantly spooky and covered in dust and cobwebs. From there, you’re taken into the library, where the story is set for you—you’re about to embark on a journey into the Twilight Zone. Then it’s into the boiler room and onto the elevators. Nowadays, the randomized drop sequences mean that not only will you not know how many drops you’ll get or how long they’ll be—you don’t even know if your first movement will be up or down. The entire experience once that elevator locks in is an unpredictable, thrilling experience. As for theme—the ride is set in the glitz and glamour of Hollywood! It’s a wildly creative way to bring historical Hollywood into an attraction. The narrative is actually a bit tricky to pin down, as we’re treated as both guests and as willing travelers to the Twilight Zone. While this is a bit confusing, I think the trick is brilliantly simple—the staff of the Hollywood Tower hotel doesn’t know we’re going to the Twilight Zone, only we do (because we’re told in the library). This is why the staff continue to treat us as guests going to our room, while the narrator keeps us informed as to our trip to and from the Twilight Zone. It’s a brilliant piece of dramatic irony. Back to Animal Kingdom, we head across the park to Expedition Everest. Everest is one of the more challenging rides to rank. For starters, it isn’t “fully” functional. Due to structural flaws, the Yeti has been constrained to “B” (aka Disco) mode for much of the life of the ride, rather than fully and violently swiping at guests. Somewhat more substantially, Expedition Everest’s reach extends far beyond the ride itself, more so than maybe any other ride in Walt Disney World. Space Mountain, Splash Mountain, Tower of Terror, and Spaceship Earth are the only rides that impose on you from a distance in the same way that Expedition Everest does. And, in the park experience, Expedition Everest is visible from further away than any of these rides, except for Spaceship Earth. And of course, Everest’s queue is legendary. The amount of narrative in that queue is more than is in most Disney dark rides, honestly. You’ll pass through various buildings that have both an original and repurposed use relevant to the story. You’ll pass through the Yeti museum, which is filled almost entirely with genuine artifacts. The ride pays tribute to the role the Yeti actually plays in Nepalese culture. Then there’s the ride. I don’t want to spoil, but it’s a great coaster! Fantastic, even. 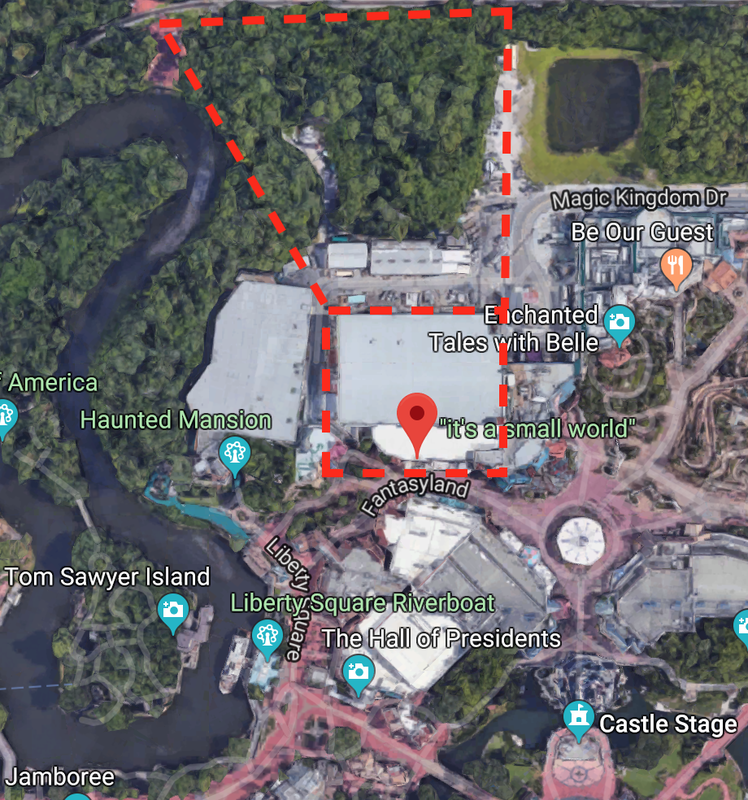 Now, without all the other stuff—the imposing structure, the queue that is essentially a walkthrough attraction itself, the land that dedicates itself to the narrative—how would the attraction rate? Tough to say. But I’m counting all of that, and I’m putting Expedition Everest—Legend of the Forbidden Mountain, in my number three slot! I can’t possibly do Haunted Mansion justice. It is an incredibly complex ride that bears all the marks of the tumultuous process that birthed it. I’ll touch on two things that make Haunted Mansion stand out to me. The first is subversion. Haunted Mansion is not what you expect from a haunted house. It’s not terrifying enough for that. It’s not what you expect from a dark ride, the narrative isn’t clear enough for that. It isn’t fully playful—a guy hangs himself in the opening and a woman murders a series of husbands—but it pokes fun with gags like the hitchhiking ghosts. It starts off with a simple inquiry that breeds disagreement as soon as it’s announced: are we moving, or is the room stretching? No one can agree. It doesn’t seem to have a catchy tune that plays throughout…except it does. You might not notice, because the instruments and rhythm change, but Grim Grinning Ghosts is there throughout. And that’s the challenge of the experience. If you want to know why reciting the Haunted Mansion script during the stretching room is an abomination that should be punishable by banishment from the park, it’s because you deprive people of the chance to experience the disquieting nature of the metamorphosis. It’s like being on an airplane during turbulence. As long as the flight staff looks calm, you don’t worry. People who recite the script destroy the illusion that anything bad could happen, they’re just chipper and comfortable. So don’t recite the script! Haunted Mansion isn’t what anyone expects. And the more you try to form expectations, the more you’ll be subverted. Second, Haunted Mansion is one of Disney’s best collections of imagineering “tricks.” Many Disney rides don’t have any really impressive tricks to them. That’s not to say they aren’t impressive, but they’re straightforward. Haunted Mansion has dozens of these clever items. Very few rides have even one moment where guests actually are left to wonder how imagineering pulled it off. Haunted Mansion has multiple, from the busts of famous ghost writers, to the dining room dance scene, to the endless hallway, to the never-ending staircase. (Yes, I know how many of those work, but they still make many people wonder.) It’s a fantastic display of creativity and engineering. Yes, I sometimes like to do some subverting myself, and my other ranking posts have a bit more surprise at the end. But Avatar Flight of Passage is easily the best ride in Walt Disney World; it’s not even close. The ride experience is unmatched. It’s a hybrid of Soarin’, Star Tours, and TRON, all turned up like 10X + 100X the emotion. It is a thrilling, beautiful ride. I could cry at the finale every time, honestly. The motion and the use of water (which is very noticeable when that function isn’t working), in addition to the finer features of your link chair, are indescribable. But I don’t want to leave it at that. Yes, the experience is unmatched, but few people recognize that Avatar Flight of Passage is the epitome of the theme of Disney’s Animal Kingdom. Animal Kingdom is a park about the relationship between humanity and nature, mostly (but not exclusively) animals. I’ve written elsewhere, and intend to write more, about how the various elements of the park contribute to that theme. A few key examples are It’s Tough to Be a Bug flipping the script on the bug-human relationship; Expedition Everest’s queue telling the story of the Yeti in Nepalese culture; Maharaja Jungle Trek portraying the sad history of the human-animal relationship. Unfortunately, the story that Animal Kingdom tells didn’t have a happy ending. The apex of the human-animal relationship is of course when we learn to live symbiotically, in harmony with them. And traditionally that relationship is solidified or exemplified through riding. Now, we can debate the finer points of this. Obviously not all riding is positive, and maybe none of it is egalitarian or symbiotic. But in a storytelling sense, there is support for the idea that riding is the apex of the human-animal relationship—in Game of Thrones, Neverending Story, and Pete’s Dragon, to name a few. In reality, of course, we don’t think Animal Kingdom should feature a ride where people ride on a real animal. Enter Avatar Flight of Passage. And it’s the opportunity for the ride to be something more than simply a ride. It’s about the bonding. It’s ritual. It’s about cementing the human…er…Na’vi-animal relationship. Yes, it’s a fantastic experience. But Avatar Flight of Passage is quite possibly the only theme park ride in the world that actually realizes the theme of its park. And for that, it definitely deserves the top spot on this list. Read more about getting on Avatar Flight of Passage in our Animal Kingdom FastPass+ and Rope Drop Post! That’s it for our Walt Disney World ride ranking! What are your favorite ride at Walt Disney World? !